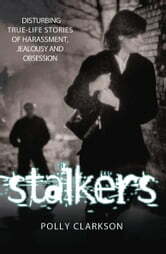 This unsettling but fascinating book will give you a unique insight deep into the minds of stalkers and reveals how their sinister behaviour affects their victims. From shadowy online stalkers, to jealous ex-lovers, from obsessed admirers and insidious personal vendettas through to crazed and dangerous criminals, this book probes the innermost instincts of the characters involved in each of the terrifying - and increasingly common - crimes described here. Based on revealing interviews with policemen, psychiatrists and doctors, as well as the families of many of the true-life victims - both male and female - this is the first time that such a collection of stalking cases from across the UK has been presented in such vivid and memorable detail. From the high-profile Marchese/Falkowski case currently proceeding through the courts, to the tragic events of lesser-known fatal stalkings, these stories read like fiction - but everything published is based on startling fact.